Bihar Police Recruitment 2018– Candidates are informed that Bihar Police has issued a notification to fill up 11865 Fireman and Constable Vacancies. Participants who are interested in Bihar Police Jobs 2018 must check here eligibility criteria, age limit and Payscale. Online Registration has started from 28 May 2018. Participants should fill up their Application form before last date 30 June 2018. Aspirants can download Bihar Police Notification 2018 from links given below. Bihar Police Department and Bihar Fire Service Department have announced Direct Recruitment for 11865 Constable and Fireman Post. Applicants who are going to apply for BPSSC Recruitment 2018 must be Physically Fit. For Bihar Police Constable Jobs 2018 candidates will be selected on the basis of written exam and Physical Test. For further more details regarding Bihar Police Bharti 2018 aspirants should check below section. Latest Update as on 13.11.2018: Dear Applicants, here is latest information form you. Bihar Police Department has cancelled advertisement of 9900 Constable and 1965 Fireman Vacancy. Accordingly, Central Selection Board of Constable Bihar, has cancelled the adv. no. 02/2018. Check Full notification regarding cancellation of Bihar Police Recruitment 2018 for Constable & Fireman Vacancy. What Is The Selection Criteria of Bihar Police Driver Constable Recruitment – Bihar Police Bharti 2018 ? Candidates who are going to apply for Bihar Police Jobs 2018 must apply online from 20 May 2018 for Fireman and Constable Vacancy. Participants will be check here required qualification, age limit, and application fee for Bihar Police Vacancy 2018. Here we also provide you links to download BPSSC Notification 2018. Candidates should have intermediate Degree of 10+2 for Bihar Police Constable Jobs 2018. Applicants who are going to registered for Bihar Police Recruitment 2018 should be Physically fit. For information participants should consult to Official notification of BPSSC Bharti 2018. Minimum Age limit for all Category Candidates is 18 years for Bihar Police Jobs 2018. Maximum Age Limit is different for all category Candidates for BPSSC Recruitment 2018. Here we gave you table which Maximum Age Limit for all Category Aspirants. Applicants need to pay some amount as an application fee for BPSSC Fireman Jobs 2018. General and OBC category participants should pay Rs. 450 /-. Candidates who belongs to SC/ST/ Ex-Service man will be pay Rs. 112 /- as an application fee. More details regarding to Bihar Police Fireman Vacancy 2018 check Official Notification of BPSSC Constable Recruitment 2018. Candidates can pay their application fee through Debit Card, Credit Card and Net Banking. Candidate’s Selection should be done on the basis of Written and Physical Fitness Test. Participants who take part in Bihar Police Recruitment 2018 Exam must prepare hard for written Test. Applicants who cleared written test will appear for Physical Fitness Test. Applicants who cleared both the exam are Directly Selected for Bihar Police Recruitment 2018. Below table shows you Height measurement for candidates required for Bihar Police Constable Jobs 2018. Bihar Police Department should pay Rs. 5200 to Rs. 20200 with Grade of Rs. 2000 to selected applicants. Candidates may download Bihar Police Recruitment 2018 Notification either from here or from links given below. Participants who are going to apply for BPSSC Constable Jobs 2018. Applicants may follow these steps to Apply online for Bihar Police Constable Recruitment 2018. You may also download BPSSC Fireman Recruitment 2018 notification from links given below. Applicants should log on to the official website of Bihar Police Bharti 2018 i.e cbsc.bih.nic.in. Participants should search for Bihar Police Recruitment Section at Homepage. Candidates may search for Bihar Police Notification 2018. Now aspirants should read BPSSC Recruitment 2018 Notification Carefully. Check eligibility Criteria, age limit and Selection Process here. Eligible aspirants may apply online for Bihar Police Fireman Vacancy 2018. After filling up Application Forms participants must recheck their form. Applicants should note down ID Password and Registration number. Conclusion: Bihar Police Department and Bihar Fire Service Department have issued combine notification of 11865 Fireman and Constable Post. Applicants who are interested in Bihar Police Recruitment 2018 must apply online 28 May 2018. Last Date for Online Registration is 30 June 2018. For Further more details applicants should read article carefully. Dear candidates, Are you looking for Bihar Police Recruitment 2018? If yes, then there is a nice opportunity for you. Bihar Police Subordinate Services Commission has published a notification to fill up 126 Excise Sub Inspector Vacancy. Online Registrations are started from 22 May 2018. Candidates can check eligibility criteria, age limit, pay scale and selection process given below for Bihar Police Excise Sub Inspector Vacancy 2018. Eligible candidates must fill up their online application forms before or on 30 June 2018. Our team is also provided some official links to download BPSSC Notification 2018. 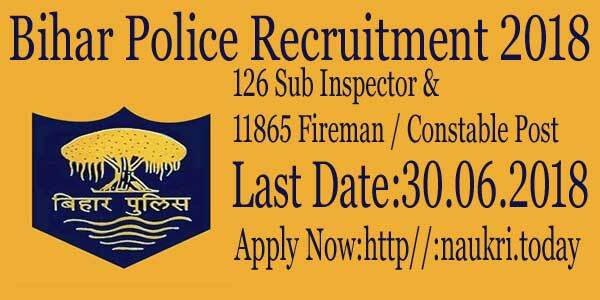 Bihar Police Subordinate Services Commission has issued a notification of 126 Sub Inspector Jobs. Interested Candidates must apply soon before the last date. Here we gave you brief details about the selection process for Bihar Police Vacancy 2018. Applicants may also consult Official Notification of Bihar Police Sub Inspector Jobs 2018 for further more details. Participants can download BPSSC SI Recruitment 2018 Advertisement either from here or from Official Website. Aspirants must enter all the details carefully. If any mistake found in your application form, their forms will be rejected. For brief information about BPSSC SI Recruitment 2018 applicants should read this below section carefully. Candidates can download official notification of Bihar Police Jobs 2018 from links given below. Applicants should have matriculation from a recognized board for Bihar Police Sub Inspector Jobs. Only Participants who have Graduation Degree in shaktudik Bibharan can apply for Bihar Police SI Vacancy 2018. For furthermore details aspirants should check Official Notification of Bihar Police Sub Inspector Jobs 2018. Here we provided you links to download Bihar Police SI Recruitment 2018. Applicants who want to apply Bihar Police SI Jobs their age must be calculated as on 01.01.2018. Aspirants may check post wise age limit for BPSSC Bharti. For more information about Bihar Police, Excise Sub Inspector Jobs candidates may refer BPSSC Official Notification. General (Male) Candidate : Age should be in between 20 years to 37 years. EBC / Backward Class (Male) : Candidates Age should be in between 20 years to 40 years. General, Backward Class and EBC (Female) : Candidates Age should be in between 20 years to 40 years. BPSSC department will pay a good salary to the selected candidates for Bihar Police Recruitment 2018 i.e ₹9300-34800 + Grade Pay ₹4200. for furthermore information aspirants should check Official Notification of Bihar Police Vacancy 2018. Applicants should be selected on the basis of Written Examination. Participants who cleared written Test will call for Physical Efficiency Test. Aspirants who cleared both the levels should arrange their original documents for Document Verification Test. For Detailed Information Candidates should consult to Bihar Police Notification 2018. Applicants can download Bihar Police Jobs 2018 Notification from links given below. After that must read all the details carefully. Then check details such as eligibility criteria, Pay Scale etc for Bihar police Jobs. Eligible applicants must fill up their registration form for Bihar Police Vacancy 2018. Now recheck your all details before submitting. Aspirants should note their Registration ID & Password. Conclusion: BPSSC has announced 126 Vacancy for the Post of Excise Sub Inspector Vacancies. Candidates should check eligibility Criteria, Age Limit etc here for Bihar Police Recruitment 2018. Eligible candidates can apply form 22 May 2018. Participants must fill up their Application forms before last date 30 June 2018. Dear Applicants, Are you Searching for Bihar Police Recruitment 2018? Now your search is over here. Bihar Police Subordinate Service Commission is providing you desired opportunity. There are 174 jobs available for Steno Assistant Sub Inspector (ASI) Vacancies. Candidates can fill up the online forms for the Bihar Police Steno ASI Vacancy 2018. Online Registration being started from 18.04.2018 till the last Date 24.05.2018. For more details for the Age criteria, Selection process candidates can visit the given Links below. Candidates who are applying for Bihar Police Recruitment 2018 can check the Eligibility Criteria from here. You can check Qualification, Age Limit and other details from the BPSSC Eligibility Criteria given here. Furthermore information candidates can check the BPSSC Steno ASI Job Notification 2018. Candidates who are applying BPSSC Jobs must have the minimum age 18 years old. In Bihar Police Jobs maximum age must not cross 25 year old as on 01.01.2018. For age relaxations candidates can check the Bihar Police Bharti Notification 2018 pdf. Applicants can check the Age Relaxation which is divided according to category wise for Bihar Police Steno ASI Bharti 2018. Applicants of SC/ST category will get 05 year age relaxation and 03 year for OBC category. Candidates who are applying for Bihar Police Steno ASI Vacancy 2018 their Application Fees are divided according to category. General/ EBC/ BC Category candidates their application Fees is Rs 700/-. For SC/ ST category candidates application Fees is Rs 400/-. For more details candidates can visit the Bihar Police Steno ASI Bharti 2018 Notification. Candidates are going to select on the basis of Written Examination (Preliminary & Main). Applicants will have the Hindi Dictation in Typing Test. If the candidates clear the Typing Test will be allowed to appear for Computer Operating Test. For more details candidates can see the Bihar Police Steno ASI official Notification. Candidates who got select for Bihar Police Steno ASI will get a salary of Rs 5200 to Rs 20200/- per month. 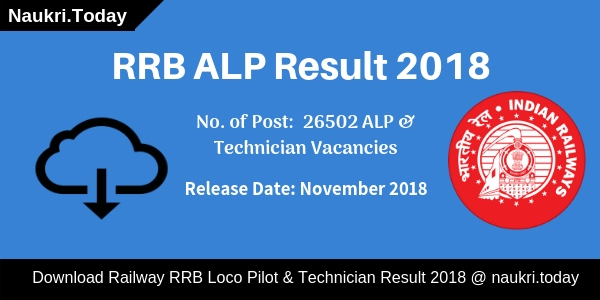 Grade Pay is also available for the candidates of Rs 2800/- for BPSSC Steno ASI Vacancy. Candidates who want to fill the Online Application Forms can check the easy steps from here. For more details candidates candidates can visit the Bihar Police Recruitment 2018 Notification. At Homepage you will find a Advertisement Link. Click on it. Read the Bihar Police Steno ASI Notification. After that Start Filing up the details in the Application Form. Upload the scanned Image, Signature and Fulfilling Documents. Are you Searching Bihar Police Vacancy 2018???? If yes, then here is a good news for you. Here you find Bihar Police Jobs for Driver Constable & Fireman Driver Posts. Dear Friends, Recently Central Selection Board of Constable, Bihar has announced notification for recruitment of 1669 Vacancies. Applicants who are interested for Constable Driver & Fireman Vacancies may apply through online mode. Bihar Police Recruitment Online Form is available from 21.02.2018. 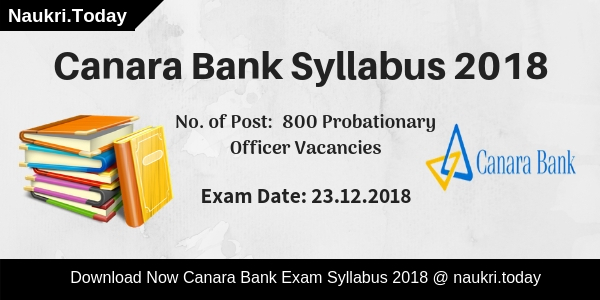 You can apply online for CSBC Job before the last date 23.03.2018. Central Selection Board of Constable Bihar is inviting online application for 1669 Driver Constable & Fireman Driver vacancies. Here our team published all details regarding Bihar Police Constable Jobs. Interested and eligible candidates should require to fill online form. The online registration is already stats on official portal. Applicants may fill the Bihar Police Vacancy Online Form before the last date. Other details like eligibility criteria, selection criteria, how to apply, important dates, important links are mention in below section. Fresh update as on 23.03.2018 : Bihar Police Vacancy Apply online last date is 23.03.2018. Applicants who are interested can fill online form till today. The Bihar Police Constable Job Online Application Form is available for you on below section. Interested candidates should check given below eligibility criteria to ensure that they are eligible or not. Bihar Police Recruitment Department announce the eligibility criteria for Constable Driver and Fireman Driver Vacancies. You should check given below education qualification, physical test, age limit and other details to ensure your eligibility. Applicants should be completed their 10+2 examination or equivalent from recognized board. Applicants also have one year license for LMV/HMV as on 21.02.2018. Furthermore you should check CSBC Bihar Notification 2018 available on official site or here. Unreserved Male & Female should not be more than 25 years for Bihar Police Vacancy. OBC Male candidates maximum age must be 27 years while female candidates maximum age should be 28 years. SC/ST Male & Female both are not more than 30 years. Candidates should check given below height description for Constable Driver & Fireman Driver Posts. Then they should check Bihar Police Jobs Chest Criteria. Participants also read below chest criteria for Bihar Police Driver Jobs. Only Male applicants are require to check the which is mention under table. If Applicants are clear all round which is mention above they will get a monthly Salary. Participants will receive Rs. 5200/- to Rs. 20200/- with grade pay Rs. 2000/-. Furthermore check Bihar Police Fireman Driver Notification and Driver Constable advertisement. Candidates who are belonging to General and OBC category are require to pay Rs. 450/- towards application Fees. SC/ST applicants need to pay Rs. 112/- as an application fees for Bihar Police Bharti. Participants also require to pay bank charges (if applicable). You should deposit your fees through online mode using net banking/debit card/credit card and others. Desired applicants who are also fulfill eligibility conditions may apply through online mode. You must enter all details correct and complete. The Procedure of how to apply for Bihar Police Fireman Jobs is as under. First all applicants should log on to official portal csbc.bih.nic.in. Click on “selection for Driver Constable and Fireman Driver Jobs”. Download Bihar Police Vacancy Notification and Bihar Fire Service Notification. Read it carefully, also mention in below link. Go to Submit Online Application link for Bihar Police Bharti. Then a window will open on your screen. Click to given link “Apply for Bihar Police Recruitment for Driver Constable and Fireman Driver Post”. Go to Click here for new registration link. Enter require details like mobile no., email id, driving license, dob and others. A unique Registration No. will be appear on your mobile no. or email id. Again go to the site and click to Login Registered User button. Apply for Bihar Police Vacancy enter your registration and DOB. Go to login and fill all personal and educational details. Make payment through online mode and then submit Bihar Police Recruitment Online Form. You can also apply through direct link mention below. Conclusion : Bihar Police Vacancy 2018 For 1669 Driver Constable and Fireman Driver Jobs. Online Form is available on official site from 21.02.2018. Applicants can fill Bihar Police Fireman Driver Bharti application form on or before 23.03.2018.